Vacant properties carry a safety and security risk which is why responsible landlords and property owners ensure their buildings are well protected and properly maintained. Vacant properties that fall into neglect don’t just create an aesthetic problem they can potentially pose serious health risks. Here, Michael Knibbs, Managing Director, SafeSite Facilities, outlines some of the common issues that can cause health concerns on vacant property sites and how to ensure they keep a clean bill of health. Abandoned paddling pools, wheelbarrows, and other empty containers will all collect falling rainwater and this can quickly stagnate. Insects such as flies, gnats and mosquitos thrive in standing water and, while being more of a nuisance than a major harm, they can cause painful bites and sores as well as carrying germs. Conditions in the UK, particularly in the South East of England are becoming increasingly hospitable to mosquitoes. Figures from Public Health England show that calls to the NHS helpline 111 about insect bites are almost double the rate they normally are at this time of year and senior doctors are reporting incidents of patients being treated in hospital for infected horsefly bites. Regularly pour away any rainwater that collects outside – the plants will thank you for it and so will the owners of neighbouring properties. Any vacant property is prone to being taken over by garden growth, especially during the warmer months when light rain and the warmer weather accelerates growth and decay. Overgrown sites provide a habitat and breeding ground for vermin, which can carry disease, and they can often become a target for fly tippers who can conceal their rubbish in the dense undergrowth, causing an additional headache when it comes to waste removal. Invasive plants, such as Japanese Knotweed and Bamboo, can quickly spread if they are not carefully managed and it is now a criminal offence in the UK, under the Wildlife & Countryside Act 1981, to let Japanese Knotweed knowingly grow. Overgrown gardens indicate that a property is unoccupied and uncared for, which also poses a security risk and makes it more vulnerable to unwanted trespassers and squatters. Trees, hedges and other vegetation should be regularly cut back and garden waste cleared away to reduce these risks. It’s quite common for rubbish to accumulate on vacant property sites and, if is left for any length of time, this can carry health risks. Food waste will quickly rot, attracting vermin such as foxes and rats, which, as well as leaving their own waste behind, may encourage them to try and enter the property, causing further chaos inside if they are successful. As well as creating health concerns, leaving large items of rubbish can present a danger to anyone working in the property or its grounds. It also sends a signal that the area is not being monitored or maintained, which is an open invitation to would-be intruders or squatters. Domestic and commercial waste should be regularly and properly disposed of to ensure unoccupied properties don’t become a target for trespassers. Squatting in residential buildings, also known as ‘adverse possession’ is illegal. However, simply being on another person’s non-residential property without their permission is not usually considered a crime. The police can take action if squatters commit other crimes when entering or staying in a property, such as causing damage or fly-tipping. Illegal or unruly tenants can cause properties to fall into a state of complete disarray leaving behind harmful waste and damage. 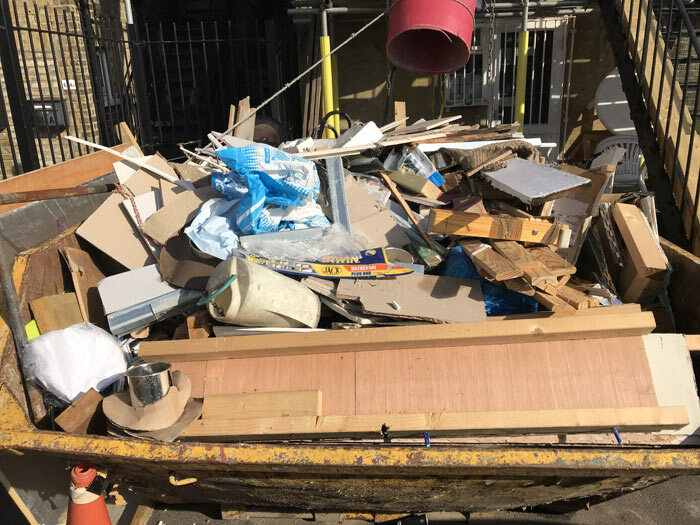 This waste may contain highly dangerous items such as infectious drug paraphernalia and human waste, which, until safely and properly cleared away can make it impossible to re-let or sell a property. A professional clearance service can clean, decontaminate and sanitise buildings and premises so they can be safely inhabited again. The specially trained professionals at SafeSite Facilities can handle all kind of waste removal and disposal, including garden and hazardous waste and complete clearance and sanitisation after squatters or disorderly tenants. They will also ensure all the waste removed from site is recycled where possible or disposed of in a lawful and environmentally-friendly way. Contact the team for a free, no obligation quote today. Previous ArticleWhich Barrier Is Right For Your Business?